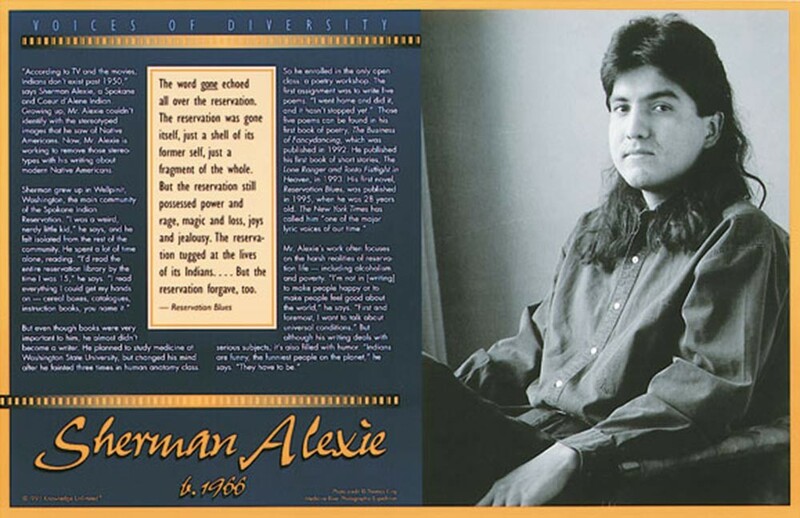 This educational poster of the popular Native American author Sherman Alexie features a striking photo of him, along with biographical text, and an excerpt from one of his most famous works, "Reservation Blues." 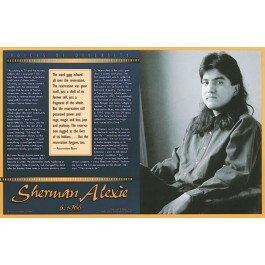 Mr. Alexie grew up on the Spokane Indian Reservation. Growing up, he couldn't identify with the stereotyped images that he saw of Native Americans. Through his writing, he is working to dispel those stereotypes. His work often focuses on the harsh realities of reservation life, but also on universal conditions of the human race.